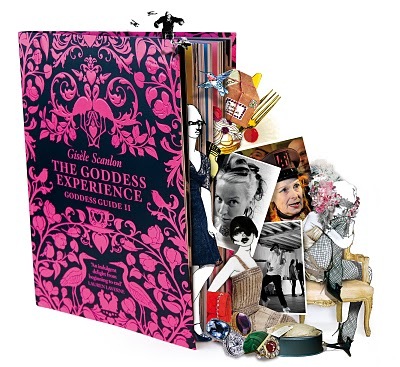 I was lucky enough to chat to the divine Gisèle Scanlon, just before heading off to Paris for the weekend (courtesy of Le Nouveau Paris – merci beaucoup!). I’m such a fan of her books and her sunny attitude, as you can probably tell from the review. So what do you do if you’re off to a mecca of retail and gourmet temptation like Paris, and for only 36 hours? You make a plan. I love Moleskine’s City Notebooks because they include a rather brilliant street index, so even if it’s your first trip and you’re brandishing a Lonely Planet with you, this can become the basis of your own personal Paris guidebook. We brought this out everywhere. One of Gisèle’s most indepth investigations in Paris revolved around finding the perfect macaron, those small morsels of heaven and for me, Paris and food are synonymous and that is what we focussed on. 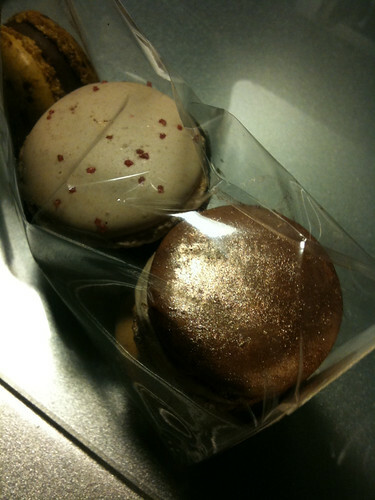 So after lunch at the rather good Les Fontaines, and a quick stop at the hotel, we bypassed Ladurée – the first day – in favour of new discoveries at Pierre Hermé including the stunning glittery concoctions above (chestnut and matcha green tea, in case you were wondering). We had a late – though perfectly normal to the locals – booking for dinner at 10:15 that evening at Kitchen Galerie Bis. Artwork that would make your eyes bleed, ample distraction through food that was divine, uplifting, stimulating and utterly surprising. Also superb service, though I almost wished we didn’t speak French so they would have explained the zors d’ouvres in intricate detail, en Anglais. For breakfast the next morning we turned to Qype and found the legendary Ellis Island Cafe. Yes, I know American brunch is not what you might think of in Paris but it was cooked and served with a fantastic side of French flair, and enough to sustain us for the day until we got back to London. A final jewel in a weekend of culinary treats. 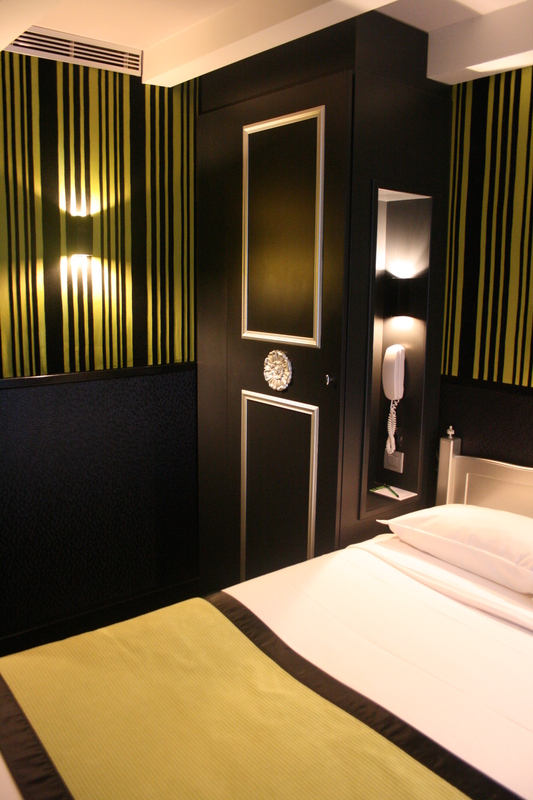 We walked for kilometres for both days, and Hotel de la Sorbonne was perfect – a boutique hotel which appeared to have been redecorated by Tricia Guild, with black wallpaper, curtains and woodwork. Overnight it was like a tomb and we slept like rocks and woke up fresh enough to go exploring again (ok, the sugar from the macarons may have been a factor). Try the hotel’s website for the best deals – our room was €100 excluding breakfast. Thanks to Le Nouveau Paris for the ticket. Looking forward to the next trip in April already!